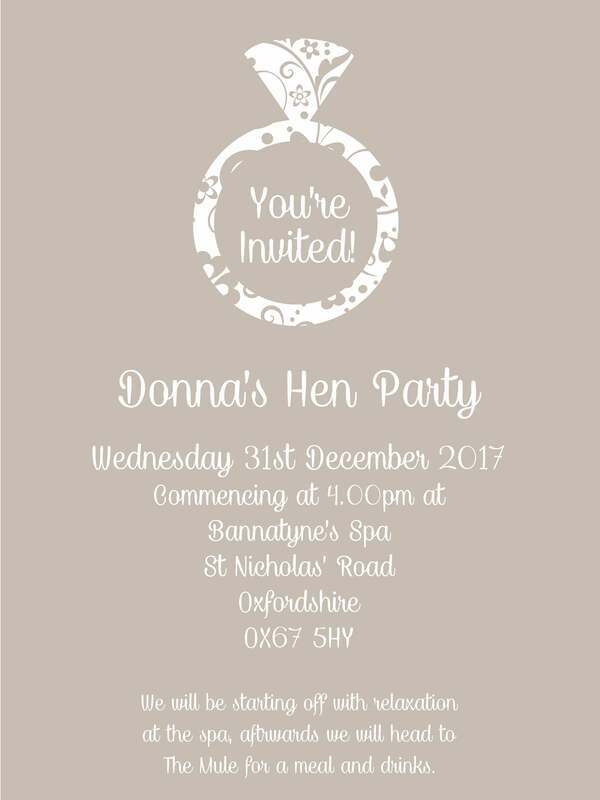 Create a truly personalised hen party invitation by inputting your personal details here; we will adapt the design in light of your personal information, and send you a PDF file directly to your inbox. You simply then have to print and distribute your invitations. No repetitive writing, just instant invitations, ready to go. This design is simple but elegant, with cursive text, and a large, central engagement ring at the top of the invite.